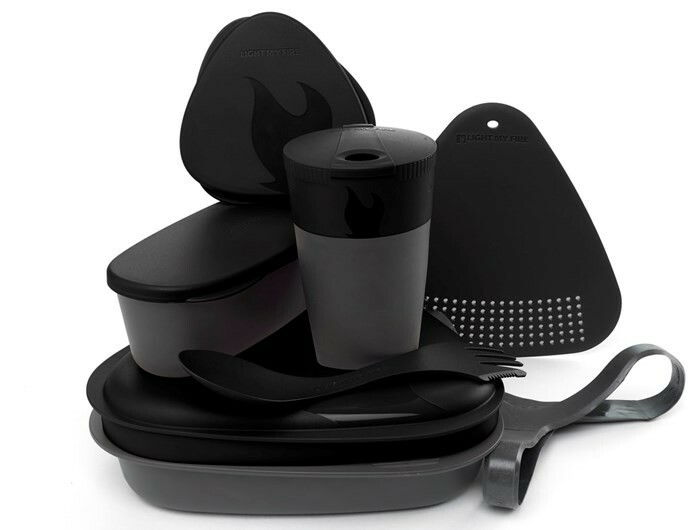 Includes: 1.Lid/plate, designed with round corners to allow you to Spork up every little bit. 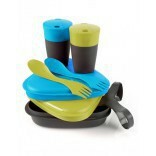 2.Bowl/plate with Spork holder. 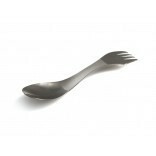 3.Spork original (spoon-fork-knife combo). 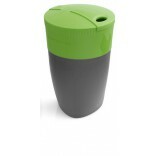 4.Pack-up-Cup with lid, collapsible and measuring lines. 5.Combined strainer and cutting board. 6.SnapBox original, waterproof and measuring lines. 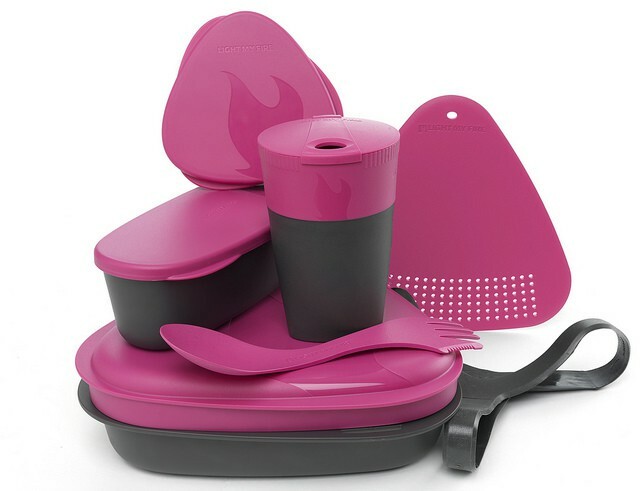 7.SnapBox oval, waterproof and measuring lines. 8.Harness to keep everything tight inside. Features: Easy to clean, taste-free material, stain- taste and odor resistant, BPA- free, microwave safe, dishwasher safe, floats, stackable.